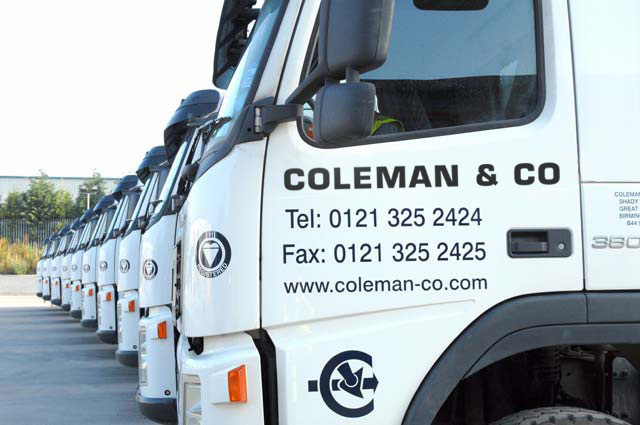 To service our extensive on-site activities nationwide, The Coleman Group has invested in a specialist, low emission haulage fleet. Our modern vehicles, which include light vehicle bodies, load weighing and sheeting systems, support our commitment to reducing our environmental impact. Our Transport Department is constantly reviewing our haulage operations to ensure the highest standards of safety, fuel efficiency, vehicle emissions and to improve operations as part of the Fleet Operator Recognition Scheme (FORS). In 2016 we were proud to receive a FORS SILVER accreditation for our ongoing focus on vehicle safety. As part of the voluntary scheme, we operate a driver licensing verification system to ensure all drivers are suitably qualified. All our vehicles over 3.5 tonnes are equipped with a left turn audible warning system and are fitted with blind spot minimisation devices. Road and site safety is of paramount importance. 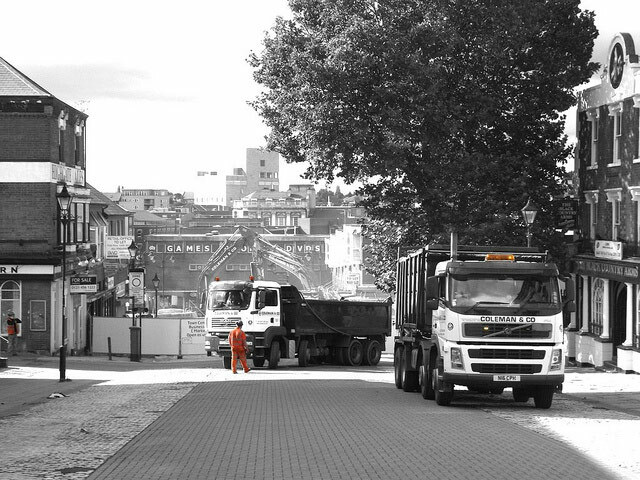 All tipper multi-lift vehicles are also fitted with rear view cameras and reversing warning systems, essential when operating vehicles safely in confined spaces. 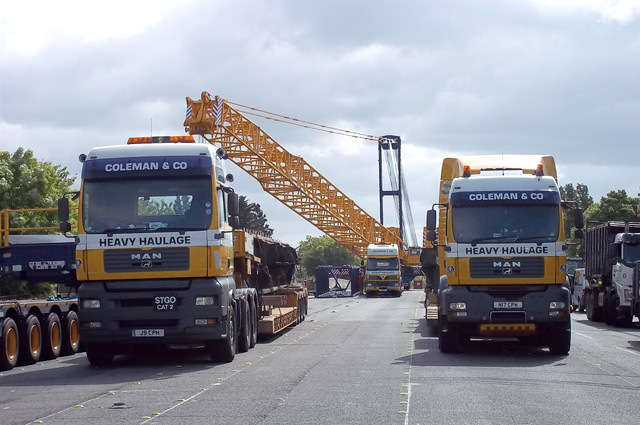 To discuss our haulage capabilities in more detail please get in touch by calling +44 (0)121 325 2424 or email info@coleman-group.co.uk. Want to keep up to date with our latest news? Visit the Coleman & Company news pages.